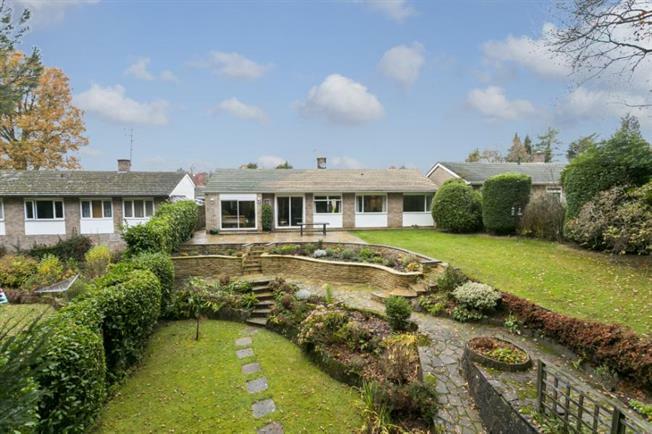 4 Bedroom Detached Bungalow For Sale in Tunbridge Wells for Offers in the region of £850,000. Freeman Forman are delighted to present this uniquely situated four bedroom detached bungalow with direct access onto a private residents' park in the heart of Culverden Down. The bungalow offers immaculately presented accommodation which includes entrance hall, sitting room with fireplace and doors leading out to the garden, a beautifully light and bright kitchen breakfast room with a separate utility room to one side. Three double bedrooms, one single bedroom and a family bathroom. The property enjoys a delightful position in an incredibly quiet cul-de-sac, to the front is a driveway with ample parking. To the rear is a beautifully landscaped garden that backs onto woodland. Set in a tucked away spot yet moments from the centre of Tunbridge Wells town the best of both worlds can be enjoyed. With the convenience of access to the town centre and mainline station to London, yet with the peace and quiet one would only come to expect from the countryside. Set in a wooded cul-de-sac within grammar school catchments and access onto a private residents' park of circa 9.5 acres of woodland that is maintained well and usable throughout the year.